Drew on iPhone a few weeks ago on the train. It could be more fun to draw with iPad. 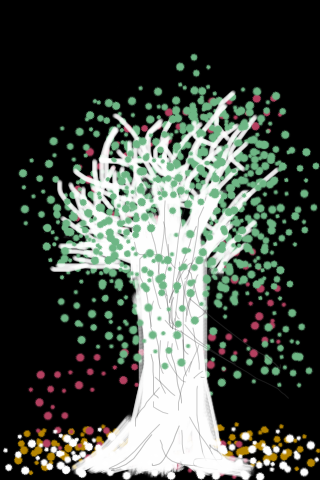 There are 3 responses to “My tree, drew on iPhone”. Pretty cool dude. Yeah, it would totally be more fun to draw and paint with the Ipad. @Justin Dupre Thanks. Upgrade to iPhone 4 or iPad, still wondering.